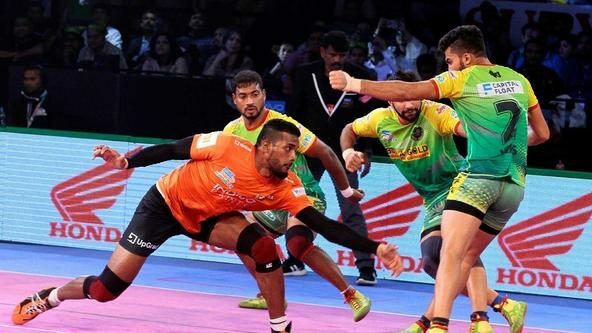 Bengal Warriors’ first home game saw them score a 27-24 win over Tamil Thalaivas at the Netaji Subhash Chandra Bose Indoor Stadium in Kolkata on Friday. Jang Kun Lee returned his second Super 10 of the season to give Bengal Warriors an important win at the start of their home leg. Ran Singh managed four tackle points on a night where the raiders dominated the game. Maninder Singh ensured Bengal Warriors made a bright start to the match as he got three quick points to help Bengal Warriors into a 3-1 lead. With Bengal Warriors 4-2 ahead, Sukesh Hegde came in for his first raid of the game in the 4th minute and returned with a Super Raid as he got touches on Surjeet Singh, Baldev Singh and Ziaur Rehman to go with a bonus. 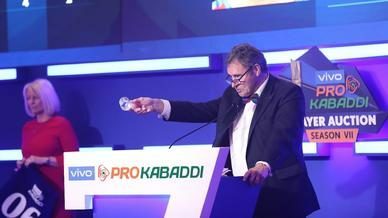 The four-point raid gave Tamil Thalaivas their first lead of the game as they went 6-4 up. Lee responded with a Super Raid of his own in the 7th minute as he got touches on C. Arun and Hegde to go with a bonus to level the scores. 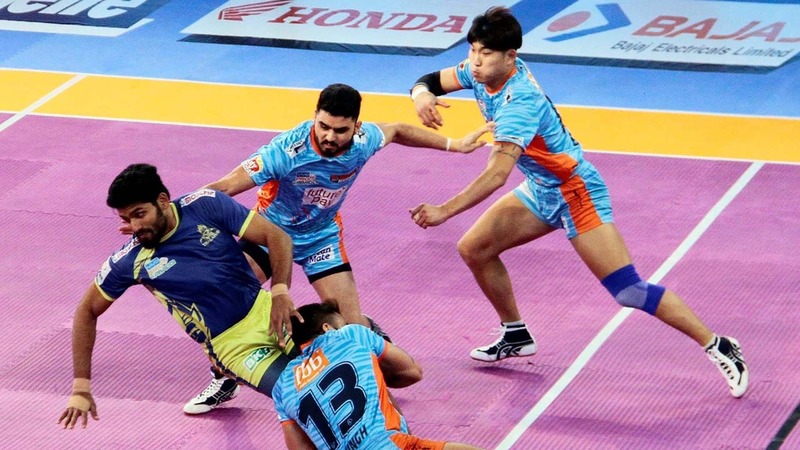 Bengal Warriors got their first tackle points of the game in the 10th minute as Ran Singh managed a double Thigh Hold on Athul MS. With the teams level, an Amit Hooda double Thigh Hold on Maninder helped Tamil Thalaivas build a lead, which they held on to until the final minute of the half. 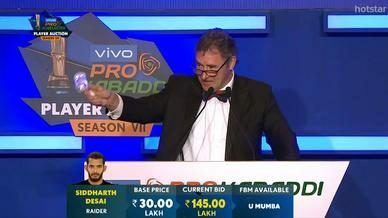 Bengal Warriors were down to three men, when Baldev Singh managed a tackle in the 20th minute on Athul to inflict the first Super Tackle of the game. Lee managed a bonus off the final raid of the half to bring the teams level at 15-15 going into the interval. 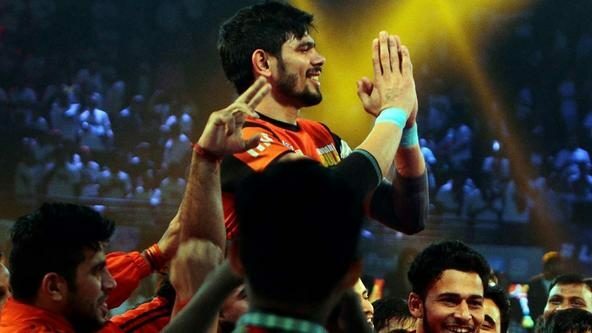 Lee inflicted the second Super Tackle of the game in the 5th minute of the second half with a double Ankle Hold on Ajay Thakur, putting Bengal Warriors up by a point. Bengal Warriors then enjoyed an excellent period as they managed to increase their lead to four points, with the scores reading 25-21 and less than five minutes left to play. Visit the matchcentre to relive the contest here. Lee got to his Super 10 in the 18th minute as he got past Sunil’s attempted Dash. 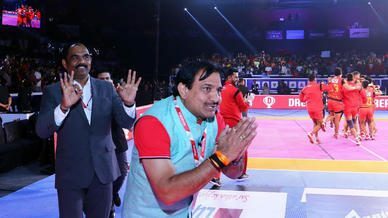 Surjeet Singh got his first tackle point of the night as his Block on Thakur reduced Tamil Thalaivas to three men on the mat. C. Arun then managed to get a Dash on Lee in Bengal Warriors’ penultimate raid of the game to ensure all three results were still possible. However, a Vijin Thangadurai Thigh Hold on Hegde ensured that Bengal Warriors walked away with a win.